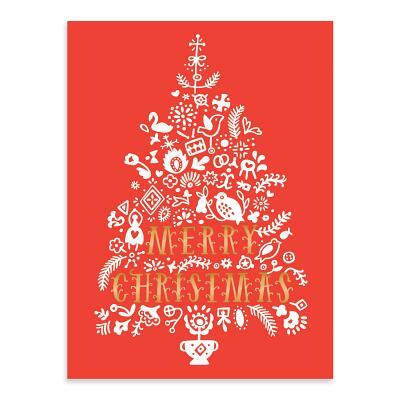 Say Merry Christmas with this folk art-inspired tree complete with eye-catching gold foil embellishments. The interior message reads "wishing you a bright a beautiful season." • Card Size: 5 1/2 x 4"